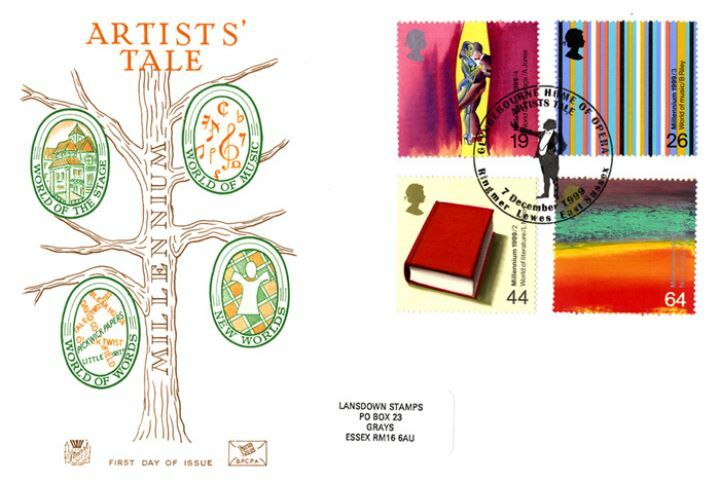 The above Royal Mail Artists' Tale stamps were issued on 07 December 1999 by Royal Mail and feature the following stamp designs: 19p World of Stage; 26p World of Music; 44p World of Literature; 64p New Worlds. The Millennium Cover No. 12 first day cover with the Lewes, Glyndebourne Home of the Opera, Special Handstamp postmark has been produced by Stuart and features these stamps which can make a very collectible and lovely gift.